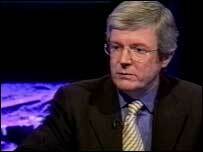 BBC NEWS | Programmes | Hardtalk | Tony Hall - bringing opera to the people? Tony Hall - bringing opera to the people? In a HardTalk Extra interview screened on 11 February, Mishal Husain spoke to Tony Hall about breaking down opera's elitist image and how government funding is shaping Britain's arts world. Italians are said to be as passionate about opera as they are about football. So why don't British audiences feel the same? Tony Hall is the Chief Executive of the Royal Opera House in London's Covent Garden. How does he challenge opera's perceived elitism without horrifying the critics? And why is it so hard to get funding for the arts in the UK? HARDtalk Extra can be seen on Fridays on BBC World at 04:30 GMT, 11:30 GMT, 15:30 GMT, 19:30 GMT and 00:30 GMT.